While we generally recommend travel rewards credit cards over cash back cards, Wells Fargo’s Propel Amex is about as good a cash back option as we’ve seen. Let’s clear this up out of the gate: the points you earn with the Propel are worth $.01 each, and can be redeemed for travel, bill statements, gift cards, and the like. If you have the Wells Fargo Visa Signature Card, you can transfer your points and use them through Wells Fargo’s travel portal at a rate of 1.5 or 1.75 cents each (depending on how much you spend), but since you can only get one signup bonus from Wells Fargo every 15 months, it’s better to file that one away under long term planning. The Propel’s 30,000 points sign-up bonus (worth $300) is the highest we’ve seen for any no-annual fee consumer cash back card, but it requires you to spend a fairly hefty $3,000 in your first three months. Wells Fargo really nailed it here, offering three points per dollar on travel, dining, gas stations, and streaming services like Netflix, plus one point on all other purchases. It’s pretty rare for a card to offer bonus points on both gas and general travel expenses, and the streaming service bonus is a novel idea that anybody reading this post can probably take advantage of. If you pay your cell phone bill with the Propel, you’ll be eligible for Wells Fargo’s cell phone protection coverage, which pays up to $600 twice per year to replace or fix lost or damaged cell phones, with a $25 deductible. There a whole host of caveats to the program that you can read about here, but it’s a great bonus for a no-fee card. The Propel also includes your typical purchase protection, travel accident insurance, and secondary rental car insurance, though you’ll find similar offerings on almost any card these days. That’s pretty much it! 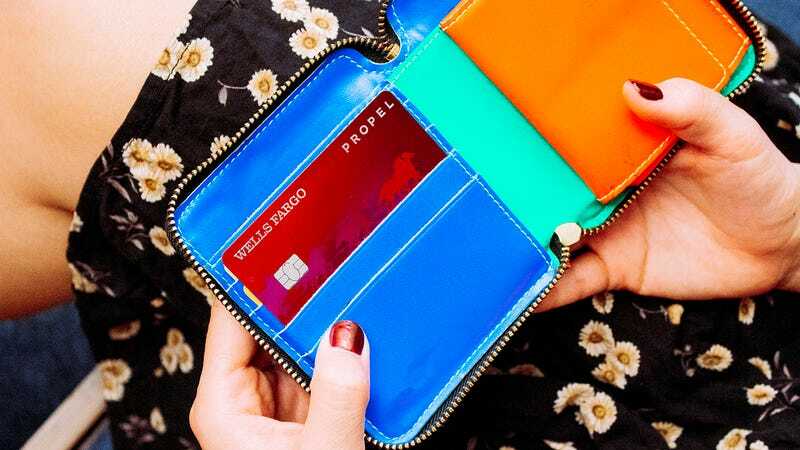 The Propel is a really simple card, and while it’s certainly not as lucrative as a Chase trifecta or a premium travel card like the Amex Platinum, it’s a great offering for anyone who wants to keep things simple.